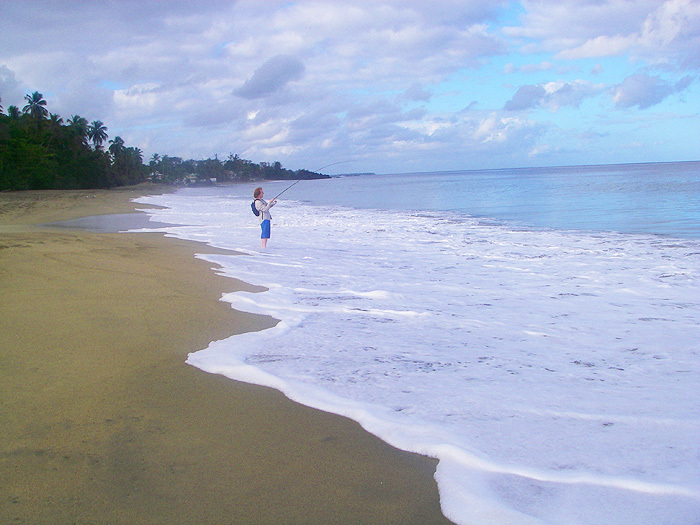 Things perked up in our second week in Tobago. 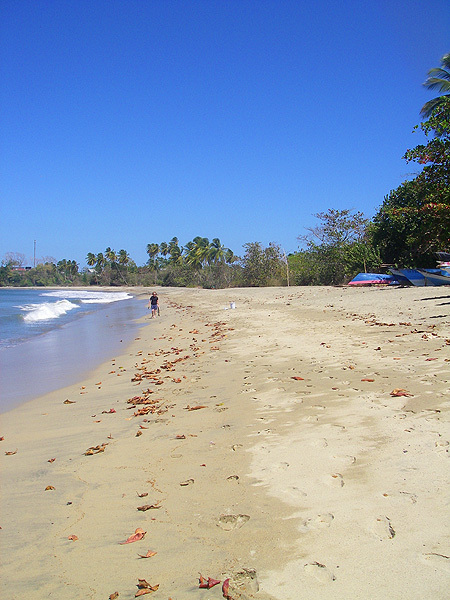 The massive swells we encountered in the Caribbean died away and bait fish appeared in reasonable numbers on some (but not all) the beaches. 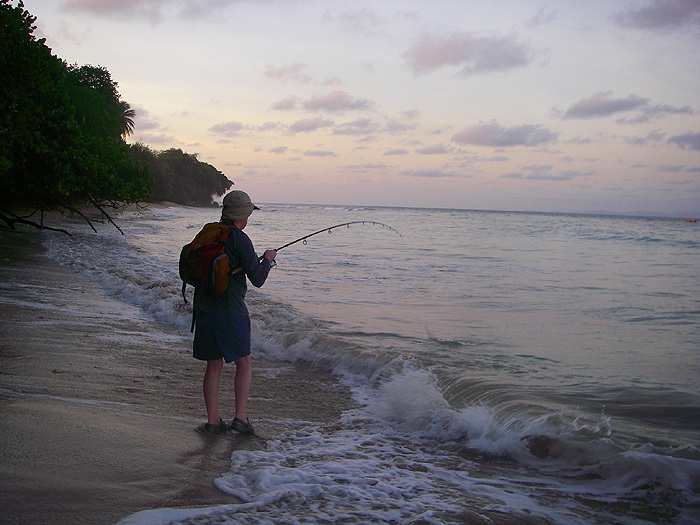 Richard and I fished our little heads off every early morning, during the day and in the evenings - the problem was finding fish. 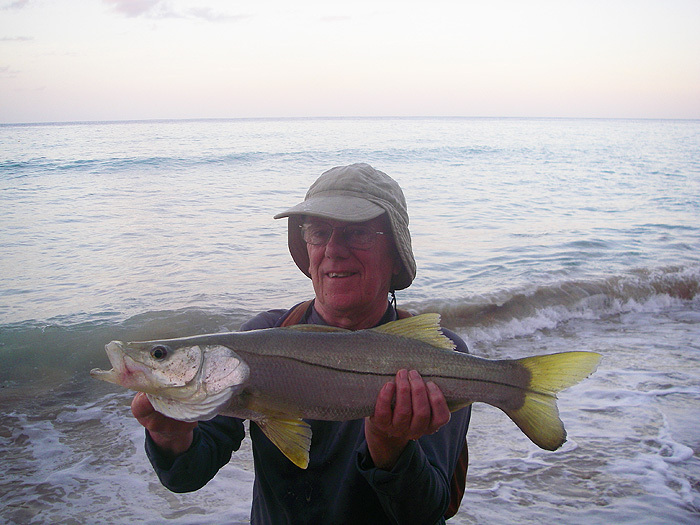 Places like Crown Point that are normally so productive were virtually devoid of fish although before the swells built up we managed three nice snook one morning from opposite the runway. 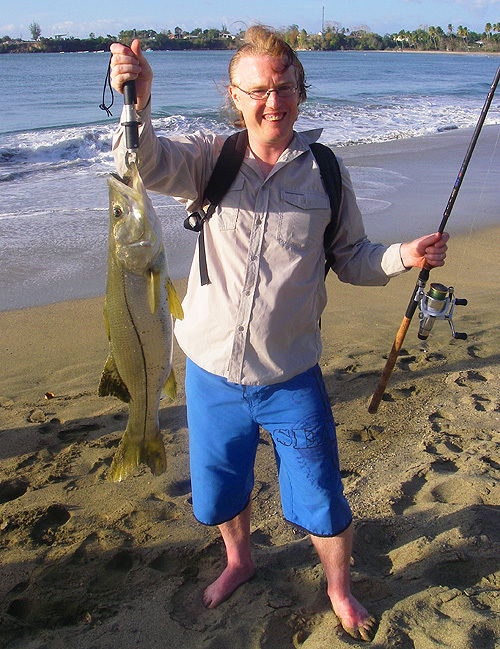 Richard (jammy devil) was first into fish and managed to land two nice ones on his Angel Kiss lure from just behind the surf. He had a third bite close in and suggested that I tried my soft plastic Super Sandra lure over the spot. 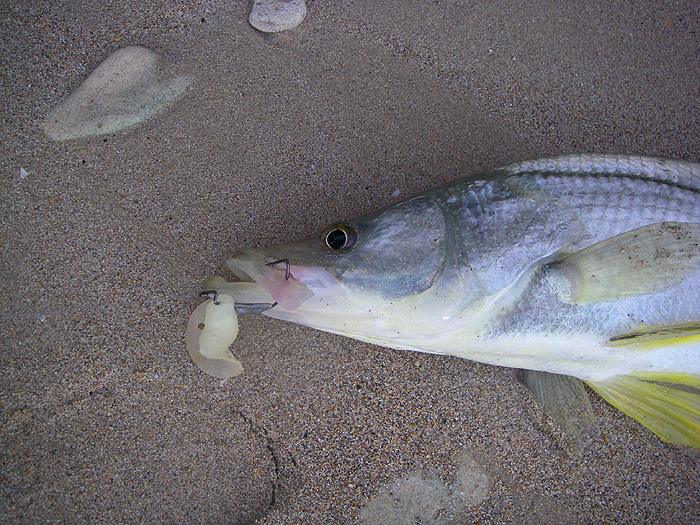 The fish took just under the surface and after a fine struggle it was landed, photographed and returned. 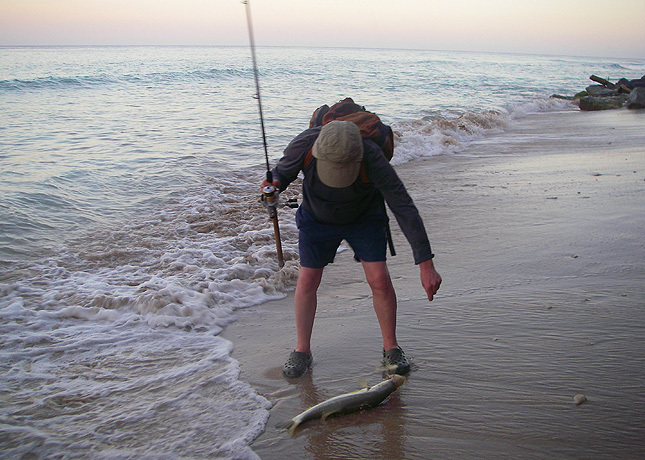 Later on I also hooked and lost a good tarpon on the same lure - the only one we contacted during our stay. 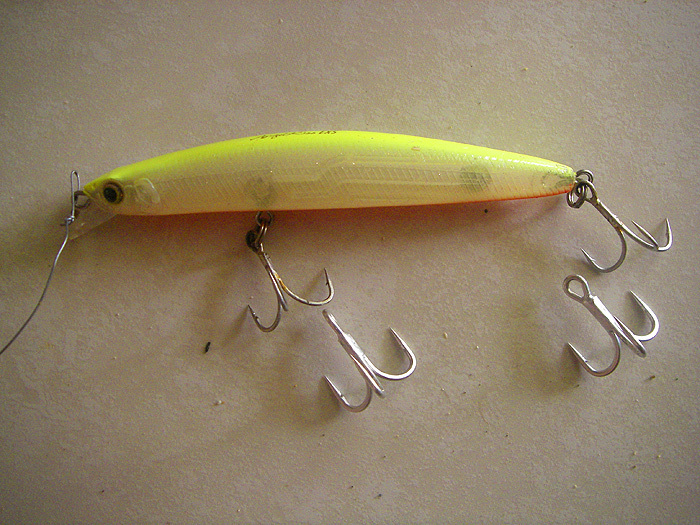 I'm sure that in normal conditions these slow moving lures will be excellent for tarpon. It was only after the first week when Steve went home that things began to look up. We found lots of feeding birds - pelicans, royal terns and laughing gulls - along Turtle Beach, between the Rex Hotel and Plymouth Pier. Now normally this stretch of beach holds lots of tarpon when baitfish are present but this time there was no sign of them. 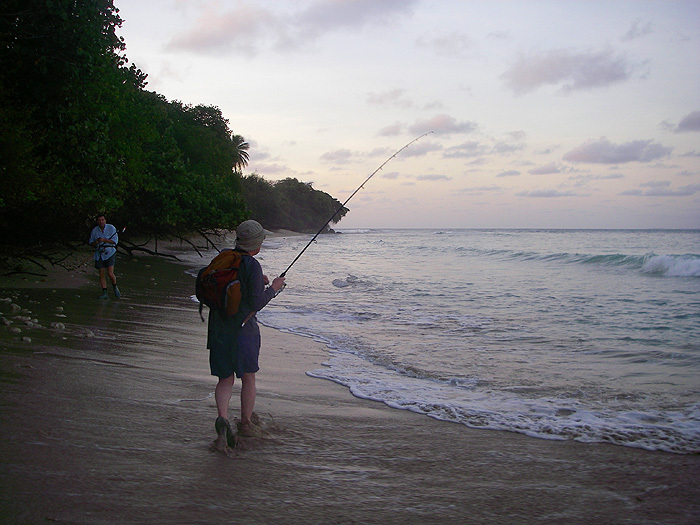 In the past fish have proved hard to come by for us along this region of shoreline but this time it saved the day. 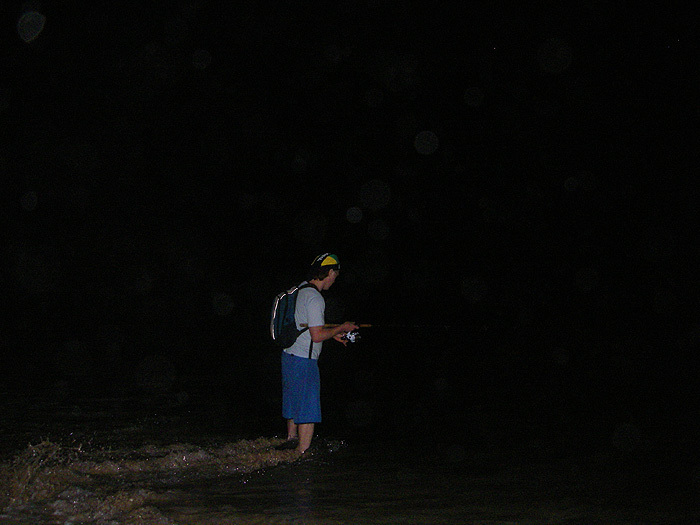 The first time we tried I hooked a good fish which I played for a while before it came unstuck. I saw a flash of colour as it surfaced and came off but I was uncertain what I'd hooked. 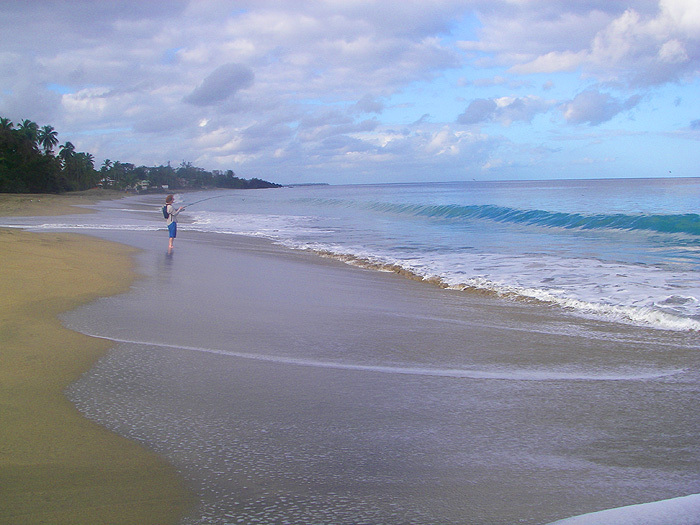 A little later all became clear as I saw my son trudging towards me from the far end of the beach. 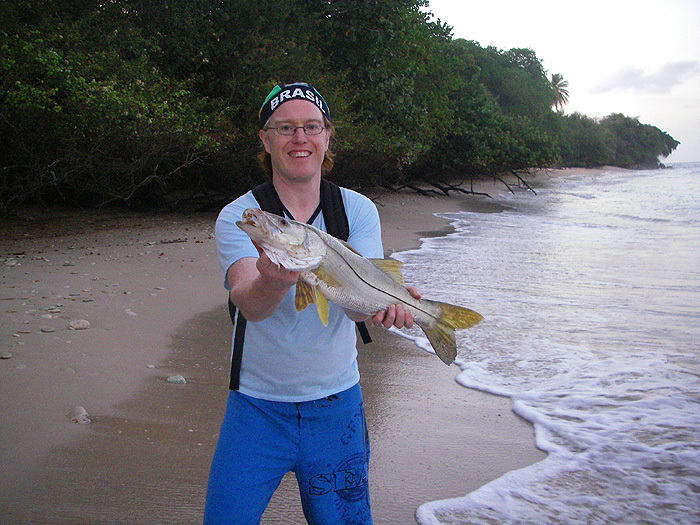 In his free hand he was carrying a good fish which turned out to be a snook of just under double figures (in pounds). Bingo! For our next few sessions we tried the same area (it always pays to make hay while the sun shines in our view - and the sun was certainly shining). 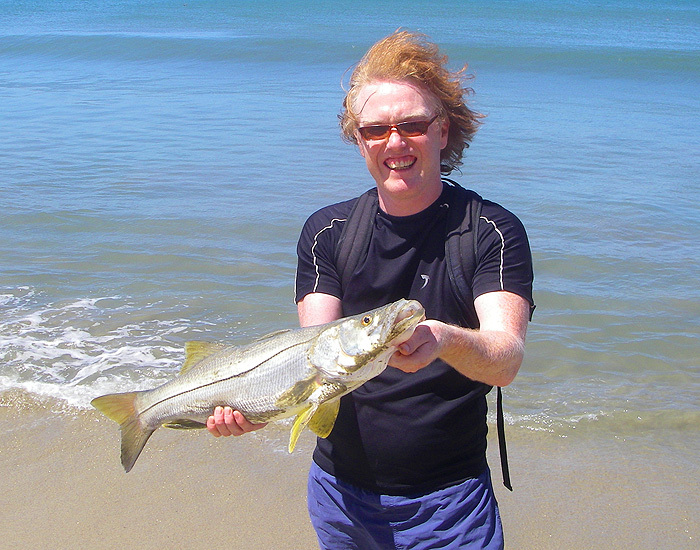 We were spinning with our usual thirty pound braid and shallow diving Japanese plugs and although the fish were not thick on the ground we periodically hooked good snook. By far the best was Richard's twenty pound specimen, short and fat as a barrel, but a couple were near doubles and Rich lost a good one as he tried to bully it through the surf. He'd not changed the standard Angel Kiss hooks for the 4x ones that we've learned to use and the strain was just too much. 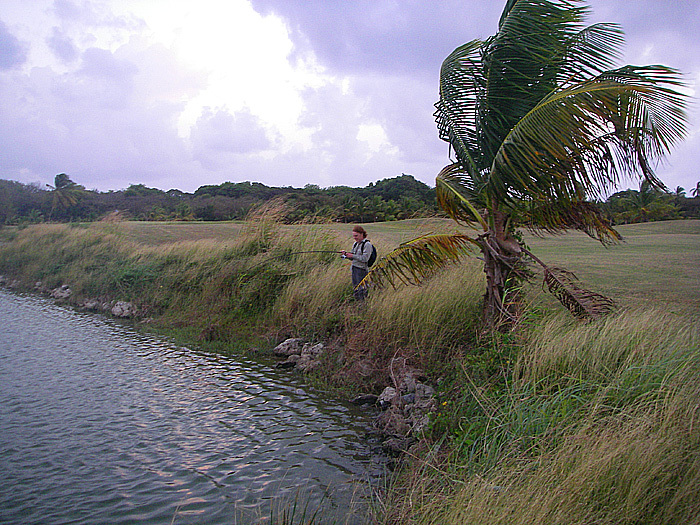 During our second week we stayed at the house of a friend in Tobago Plantations and on a couple of occasions we fished the ponds on the golf course, after the golfers had retired from their exertions. 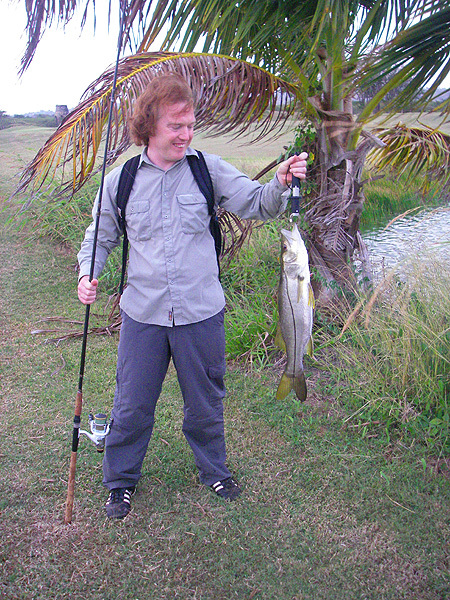 At first we used the same sort of shallow divers as in the sea and Rich had his first snook on a Rapala J11f fished over the top of thick weed. 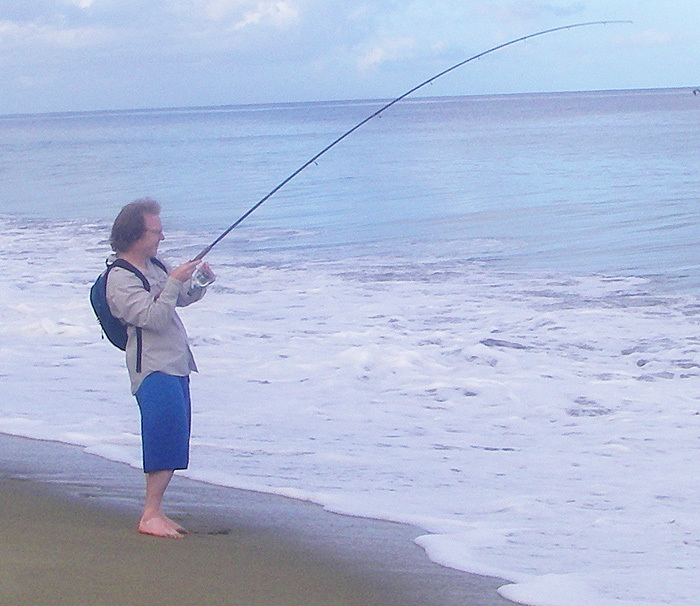 Richard had to return to Brazil at the end of the week and I was left to fish alone for a day. 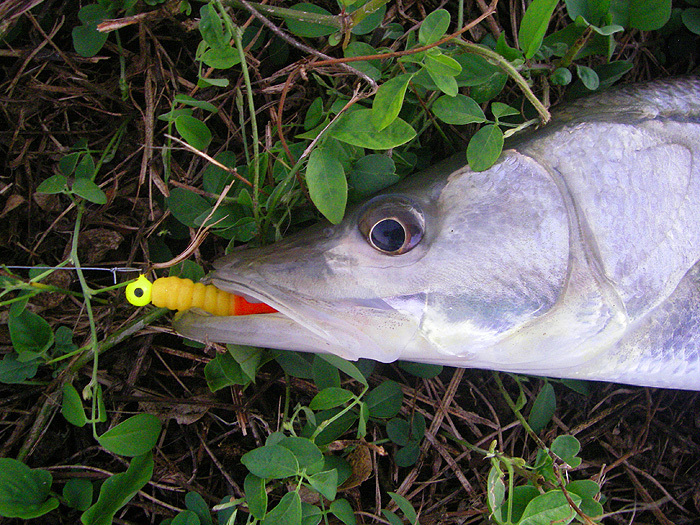 We've noticed that the snook are usually really close in to the edge in the ponds and for one of my final sessions, using the 4Surepopper - now my favourite holiday rod - I put on my Sandra lure and dabbled it in the edge, no more than 10cm from the rocks and grass for the majority of the time. Three local lads who were also spinning said that "it didn't look like proper fishing". 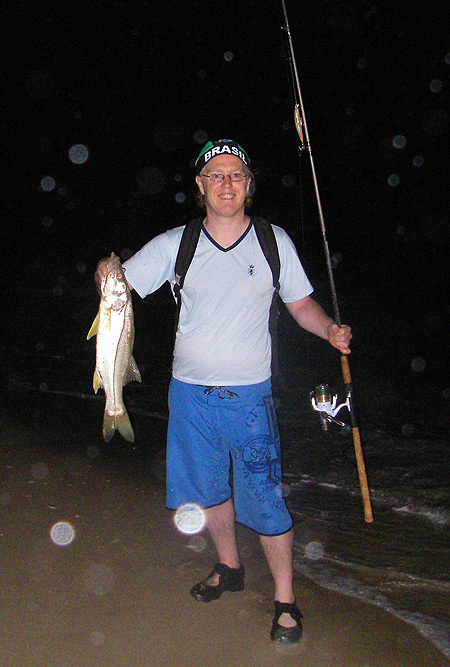 Nevertheless, in the hour or so that I fished I landed six modest snook while the other three casting and retrieving lures had only one between them. I'll try it again if I get the chance. Why you should change your hooks.